~Peregrine Place~: ~Breaking News! 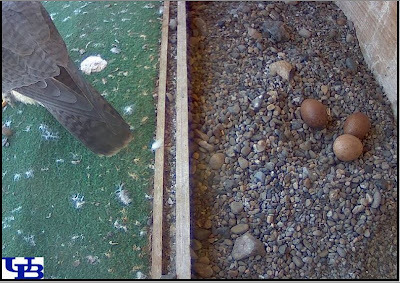 Five eggs at Central Terminal and a possible pip at UB! ~Breaking News! 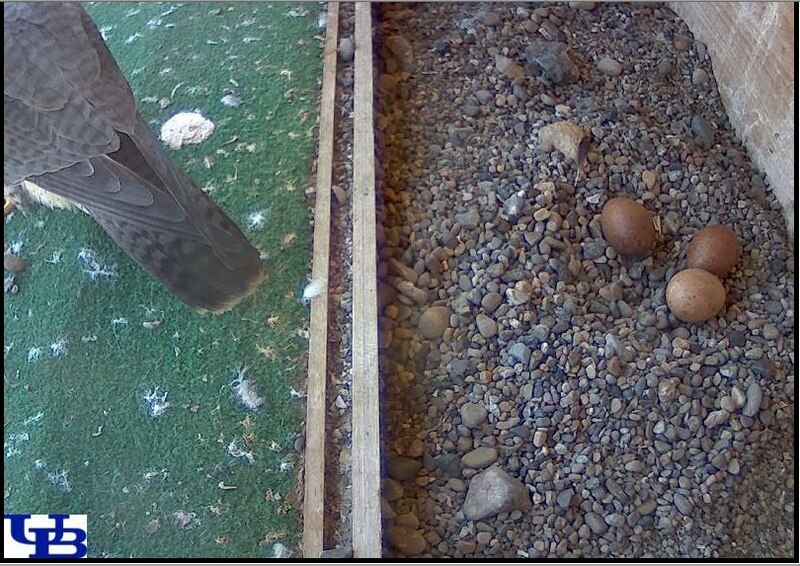 Five eggs at Central Terminal and a possible pip at UB! We got home from our rounds to see this! Is this a pip or just something stuck to the egg? ~Four eggs at Central Terminal! ~Is she or isn't she? ~Rainbow over the Central Terminal Nest!